Having previously worked with Perpetuity as a valued associate, we are delighted to welcome Sarah as an official member of the Perpetuity Research team on the Organised Crime Project. 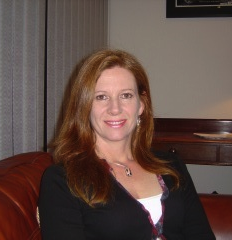 Sarah Webb has been a social research and evaluation consultant since 1995. Sarah has completed a number of significant projects for government departments, local authorities, and national umbrella organisations mainly involving the criminal justice service, substance misuse and mental health. Most recently, Sarah’s work has largely been focused in the areas of policing, organised crime, illegal immigration, youth crime and anti-social behaviour, education and inclusion and railway suicides. Sarah’s particular area of expertise is in qualitative research and evaluation and she has considerable experience of overall project design, developing questionnaires, conducting interviews, facilitating focus group, analysing qualitative data using software packages such as NVivo and MaxQDA and report drafting including published research papers.